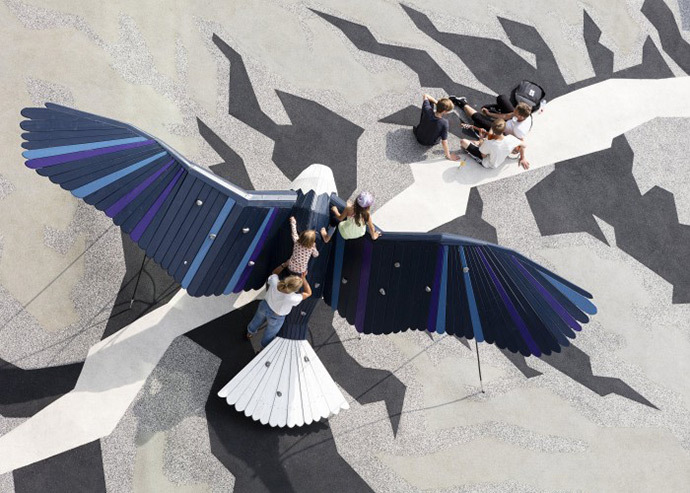 You may remember that several years back we featured some of the amazing playgrounds by Monstrum – five years later, we’re checking back in with the Danish design group to share a few more of our favorites from them. 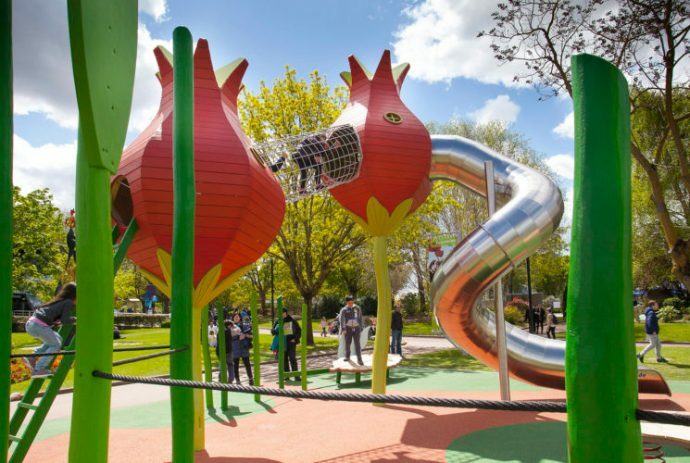 It’s next to impossible to share just a few playgrounds from their spectacular portfolio, but we did our best!! 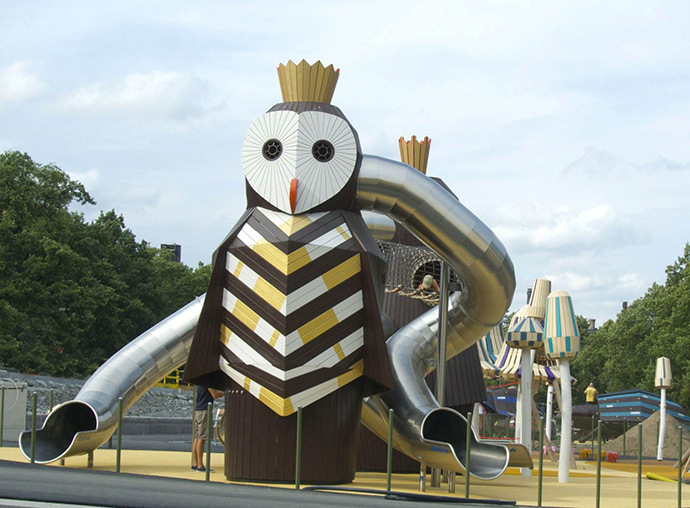 Two giant owls, a mushroom forest, and a pack of beetles make up this spectacular playground in Stockholm. 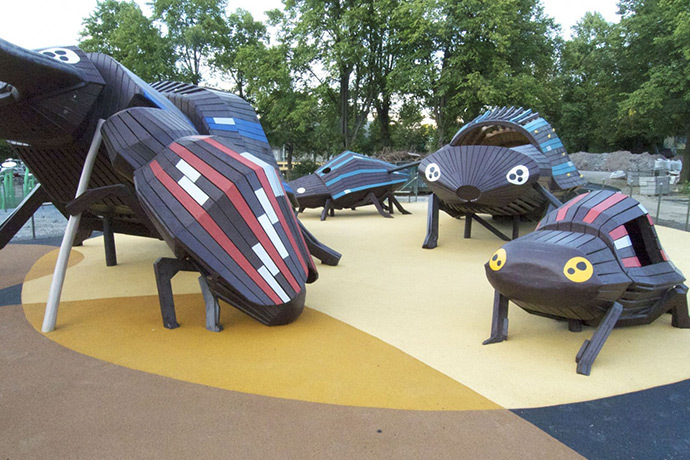 The eyes of the owls have lights inside that glow at nighttime, and the largest beetle has a built-in wheelchair ramp. 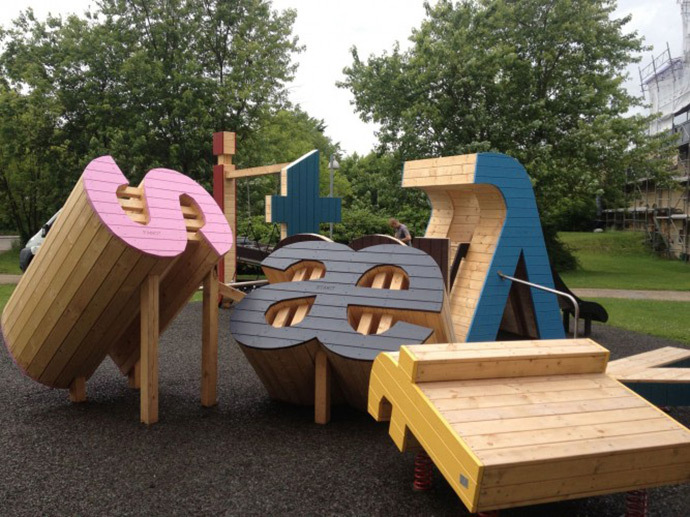 These 3D letters have been turned into playhouses, benches, and balance beams in this educational playscape. 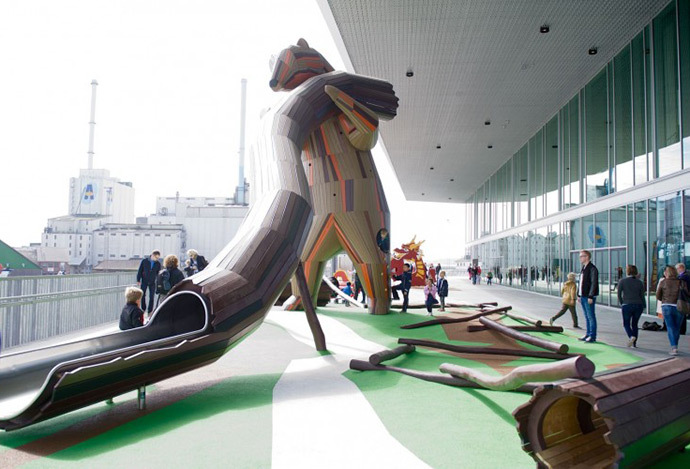 Built around the perimeter of a library, this playground is massive! There are five separate areas that each have their own story and focus on a different animal, landscape, or culture. 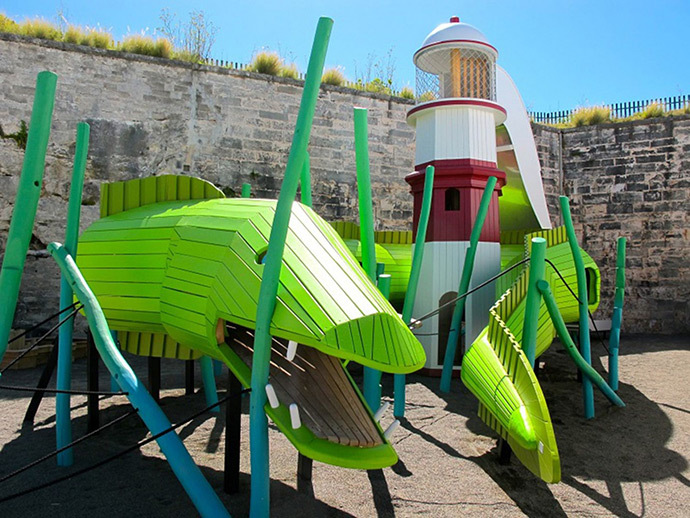 This gigantic eel is swimming it’s way around a lighthouse built to look like the famous St. David’s Lighthouse. 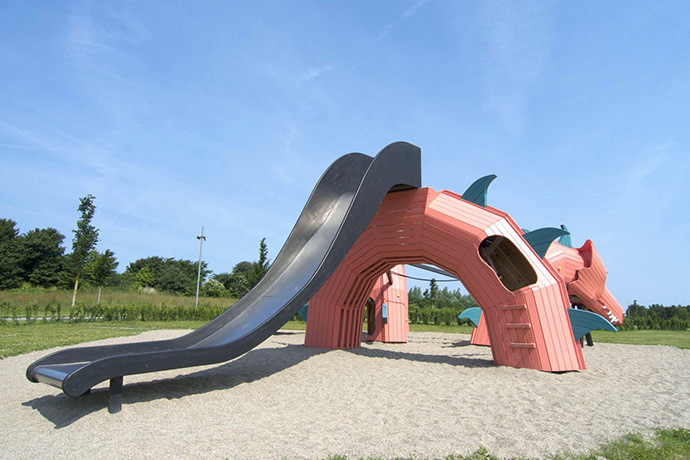 We’re guessing the giant slide attached wasn’t a part of the original though! 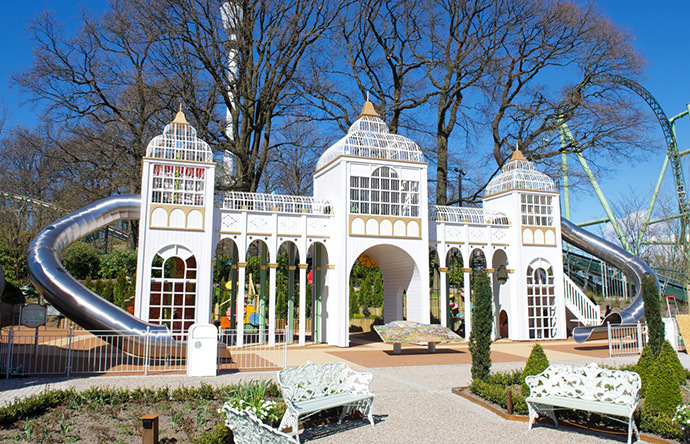 Built within an amusement park, this stunning palace features a beautiful dahlia garden along the back. 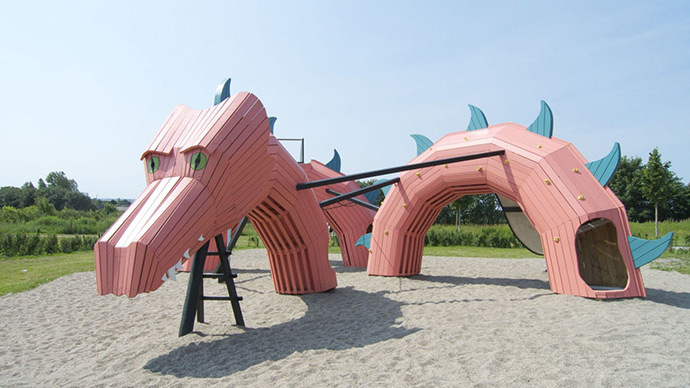 This dragon’s back has climbing knobs attached all over it and features paths of varying levels of difficulty for all kids to try. 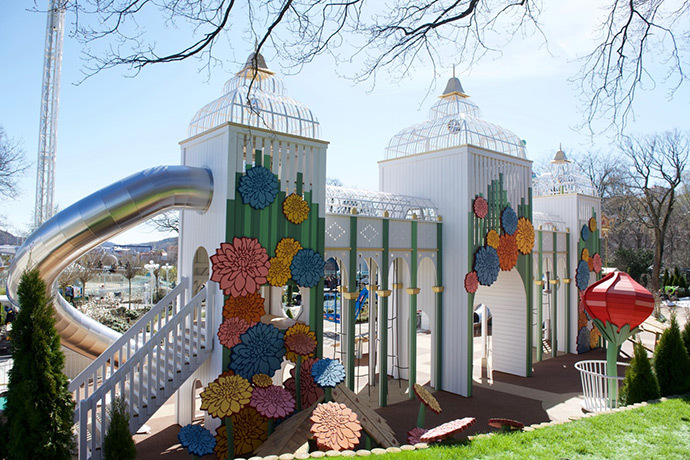 These silly structures were inspired by Brumleby, a well-known historic neighborhood in Copenhagen. 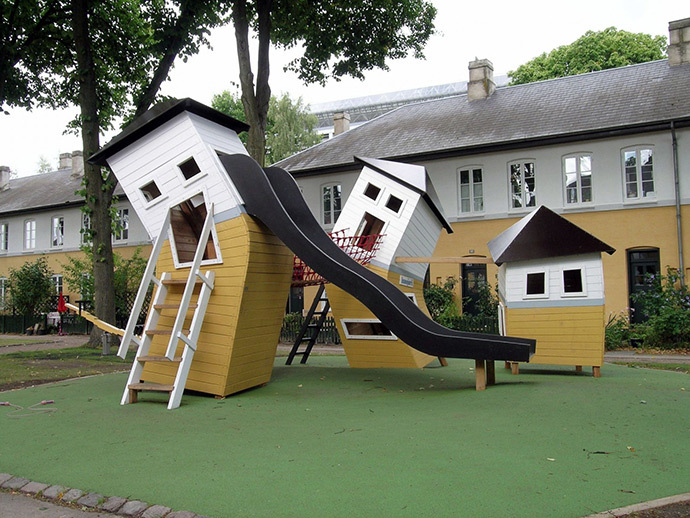 Unlike most houses though, kids are encouraged to climb, jump, and swing around to their heart’s content. 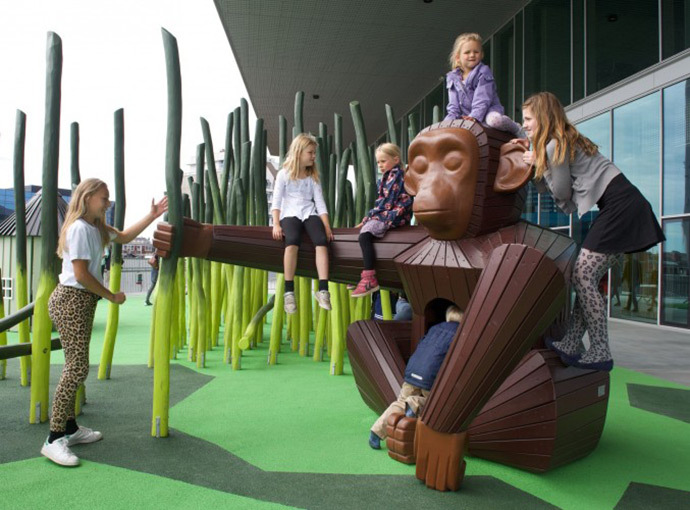 This playground was inspired by the African savannah. 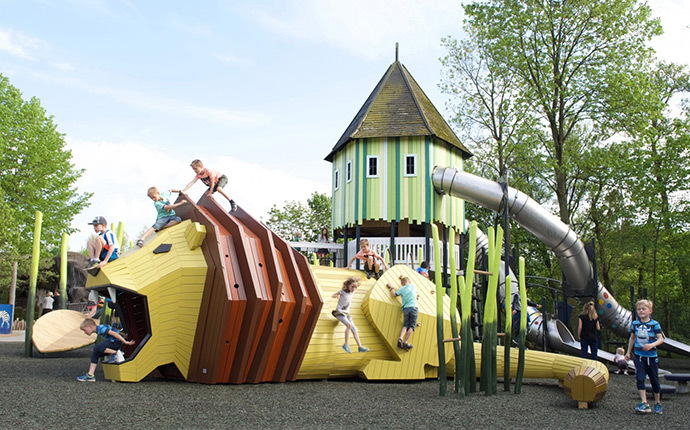 A lion crouches in the tall grass and behind him is a large hut featuring two giant slides. 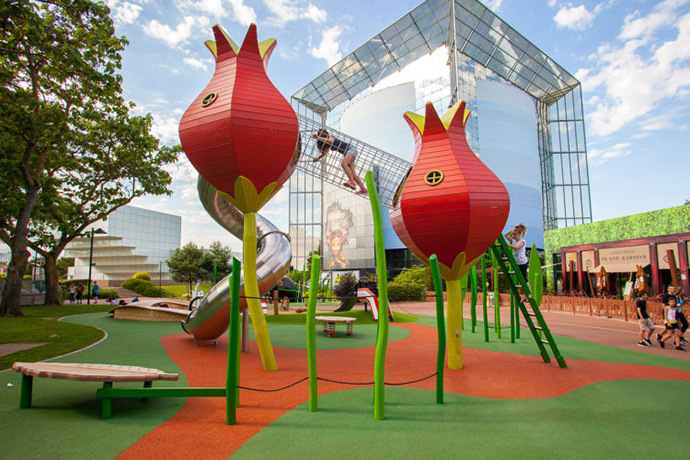 Made up of larger than life flowers, grass, and bugs, this structure has kids imagine what life would be like if they were the size of ant!